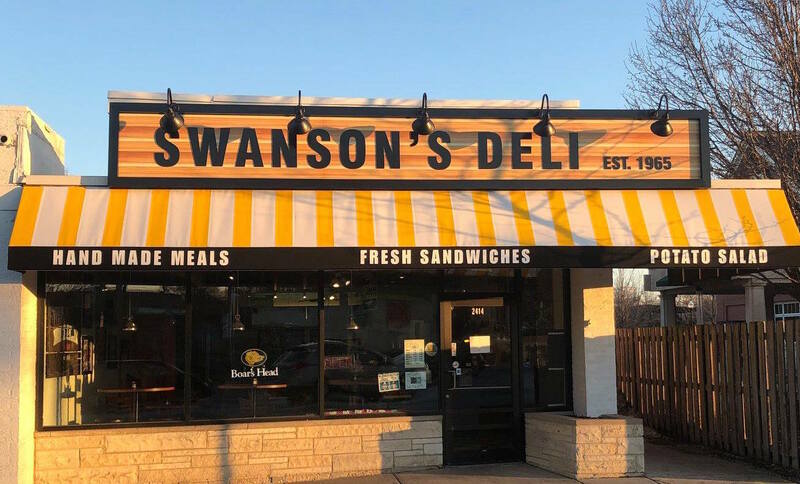 Swanson’s Deli is a one-of-a-kind establishment in Beverly. If you love warm, handmade meals and fresh sandwiches at a good price this is the place for you! There are two soups and daily specials made from scratch every day. Please visit our Facebook page to see our soups and specials daily. We also have a full-service Deli Counter where you can order our signature corned beef along with a variety of the highest quality deli meats, cheeses and salads to take home with you. Make sure to try our chicken salad, potato salad and of course our famous Cheeseball. Mon and Tues 9 a.m. - 6:30 p.m. Wed - Fri - 9 a.m. - 5 p.m. Sat - 9 a.m. - 4 p.m.